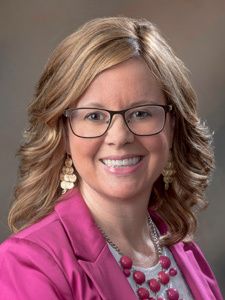 WATERVILLE – Kelly Bell Bragg, PMHNP, will begin providing psychiatric medication management at three HealthReach health centers this summer in Kingfield, Madison, and Strong. She will be working closely with patients and their primary care providers to determine the best plan of care to achieve optimum wellness. This new service will complement the medical and behavioral health services currently offered at the health centers to area individuals and families. Kelly’s training includes psychiatric assessment, diagnosis and treatment planning with people across the lifespan, including children. Kelly recently completed a master of science in nursing degree at the University of Southern Maine. In 2015, she obtained a bachelor of science degree in nursing at the University of Maine at Fort Kent. In addition, she has provided mental health clinical instruction at the University of Maine at Fort Kent and Augusta since 2016. HealthReach Community Health Centers is a group of eleven Federally Qualified Health Centers in Central and Western Maine. Dedicated providers deliver high quality medical and behavioral health care to citizens in over 80 rural communities. To ensure access for everyone, HealthReach accepts Medicare, MaineCare, and major insurances. In addition, an Affordable Care Program is available to uninsured and underinsured residents as well as assistance with applications for programs that help with the cost of health care and medications including the Health Insurance Marketplace. A private, non-profit celebrating a 43-year history, HealthReach is funded by patient fees, grants and by the Health Resources and Services Administration (HRSA) of the U.S. Department of Health and Human Services (HHS) as part of an award totaling $3,930,684 with 82.5 percentage financed with non-governmental sources. The contents are those of the author and do not necessarily represent the official views of, nor an endorsement, by HRSA, HHS or the U.S. Government.